If you are installing a home theatre system in your Gold Coast home or property, first you need to consider the rooms electrical wiring. 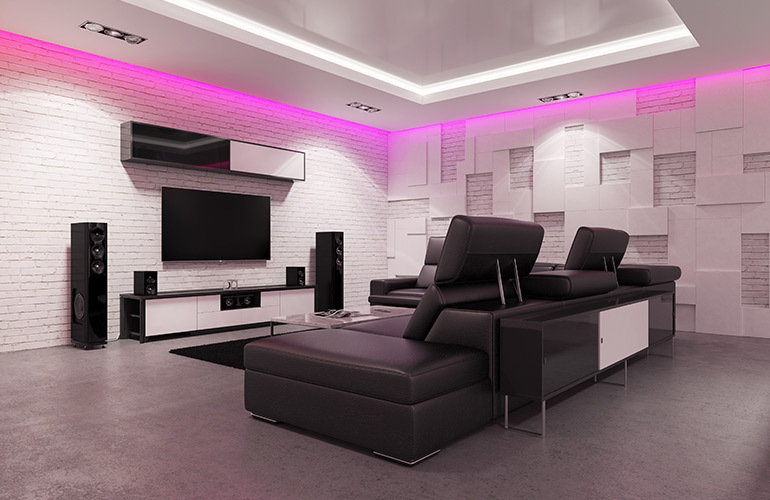 Sparkies Electrical Contracting Services can connect, set up and install all of the home theatre cabling and wiring systems as needed for your devices. No matter what systems you are installing or what devices you are using, our certified electricians can ensure all of your home theatre cabling and wiring is designed and installed with excellence. Contact Us today to discuss home theatre cabling and wiring installation for your Gold Coast home or property.